Prior to CrossFit, I was your stereotypical weightlifter. Isolated movements in front of mirrors with slow controlled repetitions. Working my upper body significantly more often than my lower body, thinking that logical groupings (i.echest/tri’s, back/bi’s, etc.) was the answer. My goals were to lift heavy weight and get “ripped”. I will admit to having a level of arrogance around working out, thinking because I’ve done it so long, I know what I’m doing. As a resident of New Town, my gym was in my basement and I had everything I needed. Enter Rochelle and Jeff Thayer and this thing they called CrossFit, circa 2008. Back then Jeff and Rochelle made “Rehab Saturday” free to anyone that wanted to try CrossFit. My wife at the time had a knack for finding things to punish the human body when it came to fitness and somehow convinced me to try it. After my first time, I walked away ego bruised, not in nearly as good of shape as I thought, and I told myself I was never going back…yet for some reason I did. 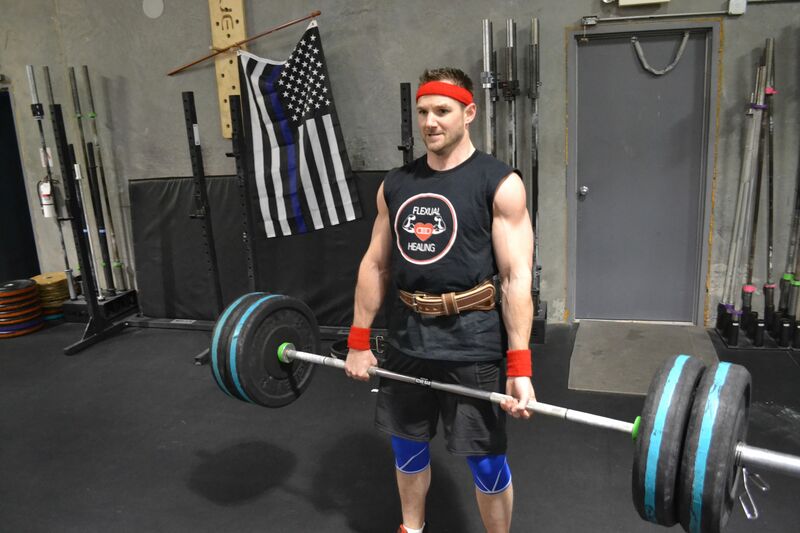 The cycle of wanting to die after working out, followed by outward statements of quitting, and then finding myself right back in the gym with the other cross fitters the following week continued for years after that, and I couldn’t figure out why. In the end, I think it fits with being athlete of the month. Despite having been an official member of the gym since 2011 and even worked out with TNT prior to that, I’m not the strongest, I’m not the fastest, and I’m certainly not the most consistent or dedicated athlete. So, I had to ask, why choose me as athlete of the month? 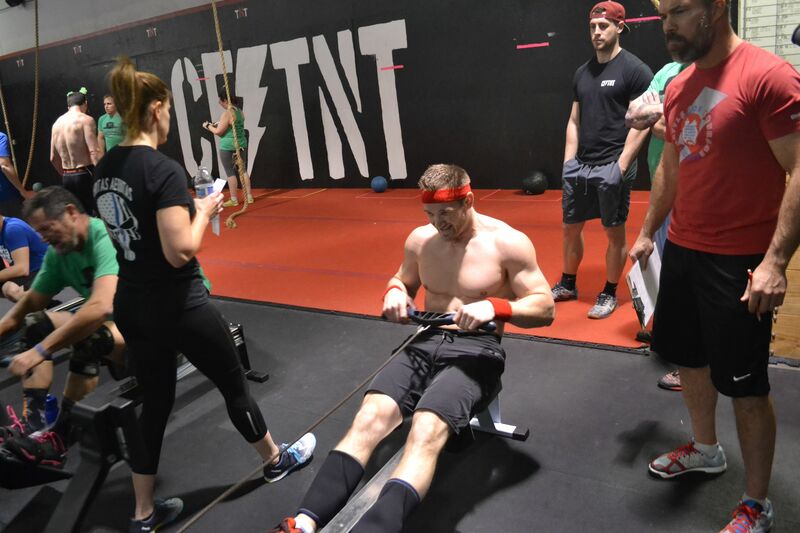 The answer I got reaffirmed the very reason I keep coming back… I was told, ‘you always help with events if the gym is hosting something, you cheer on other athletes and celebrate their success, and really support what CrossFit is all about’. I am honored to have been selected as athlete of the month. I love doing all of the things stated, when I asked “why me”, and truly believe CrossFit is something special. I’ve seen the gym grow from something very small with a very big vision into one of the region’s finest CrossFit boxes, with a superb dynamic of coaching staff and programming. I’ve learned more about myself and fitness with CrossFit than I have in any other sport or activity I’ve participated in. And most importantly, I’ve made friendships that I cherish to the core and wouldn’t trade anything in the world for. Crossfit is more than just your own personal goals. It is working together in a community to help push each other to greatness, celebrating with one another when we cross the finish line, and I can’t wait to see what the future holds. Thank you to the coaches for this incredible honor and for everything you do.